On November 28th, Adnan, a Silwan grassroots organizer, received written notification that Israel intends to issue an order expelling him for a four months period from his city – Jerusalem. Adnan is a resident of Silwan, and a member of the al-Bustan Neighborhood’s committee, which was formed to oppose plans for massive house demolitions. In a reality where Palestinians’ right for freedom of expression in not even lip service, organizing your community against its impending destruction is reason enough to be ripped from it. The order against Adnan is not part of a legal process where suspicions, charges or evidence have any part. It is an administrative order that circumvents the rule of law, which forms the foundation of western democracy. In this harsh reality, a person’s rights are taken without due process, with no charges, based on secret evidence and with no possibility to truly defend oneself. It is the essence of a Kafkaesque legal procedure in the taunting maze of the Occupation’s bureaucracy and power. But it is not too late to act up and make a difference. Adnan’s expulsion from his city and family and life, can be prevented. Adnan’s story is the story of thousands of residents of East Jerusalem. 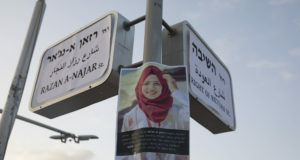 In view of the brutal tactics of repression employed by police against the community in service of the settlers who have taken over the city, it is clear that Adnan Gheith’s expulsion constitutes an experimental exercise of power on part of the Israeli Police. 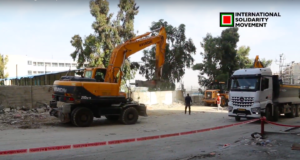 The Shin Bet and the Israeli Army intended to prepare the ground for massive home demolitions in the al-Bustan neighborhood and for a deepening Jewish settlement in Silwan. Please lend your voice to Adnan and the people of Silwan in their fight for their homes, their community and their dignity. In an attempt to stop democratic and legitimate protest, Israel makes distorted and cynical use of the law. Despite months of repeated arrests, in which Adnan was led handcuffed to interrogation over and over again – and with judge after judge ordering his release from custody – not a shred of evidence was gathered against him. The State has now decided to no longer bother with the criminal procedure where evidence is required, but rather to circumvent it by using the security apparatus and emergency regulations. The Israeli government is now turning to unconstitutional and undemocratic means in the face of Palestinian and international pressure to end settlement in East Jerusalem. Adnan’s expulsion from his city will not only exact an unbearable cost on him and his family, but also on the residents of Silwan. 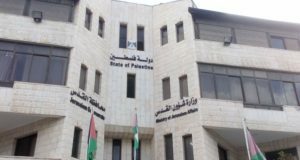 Please use the template in the following links to ask your government to speak up against Adnan’s expulsion from the only home he has and against the demolitions in Silwan.